It began pretty simply. Alan Pye, an Irish national, opened a tented camp in 1924 on the banks of New Zealand’s Waikato River. Word of the quality of the fishing soon began to spread, and soon the camp had a good reputation for hospitality and for trophy-sized trout. Ninety years later, Huka Lodge has become a luxury experience that combines rustic New Zealand activities, gourmet food and more. It also planted the seed for what has become the country’s signature travel product, the luxury lodge. 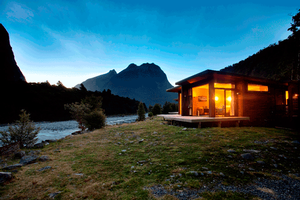 Luxury Lodges have become an indispensable part of a visit to New Zealand and visits to New Zealand are on the rise. Tourism set a record in 2013, when 2.7 million visitors arrived in New Zealand. Many believe the sight of Hobbits on film screens is driving business. 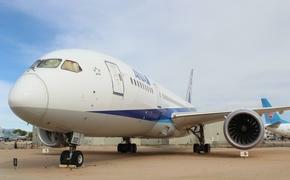 American visitation grew 21.3 percent to 201,424 visits. Huka Lodge is a member of the Luxury Lodges of New Zealand, a group of 28 lodges that have to meet strict entry criteria and offer distinguishing features to ensure they stand out in the exclusive five-star market. Huka Lodge is located on the North Island of New Zealand, but when the temperatures in the U.S. are sending the mercury through the top of the thermometer it’s time to contemplate skiing in the Southern Alps on New Zealand’s South Island. Mount Cook, at more than 12,000 feet, is the highest of the majestic Southern Alps. There are many peaks in the chain that ascend beyond 10,000 feet and the area is an alpine wonderland of glaciers, mountain lakes and deep valleys. It’s a skiers delight and all the more interesting because the ski season takes place during our summer. Like all of New Zealand, it is dotted with lodges and some of them are trying to attract northerners down for winter in August. In order to get people to appreciate winter (June, July and August) at Milford Sound, the Milford Sound Lodge launched a photo challenge this winter based on activities in the region. Participants in the “Best of Milford Sightseeing Challenge” are chronicling the beauty and diversity of the Sound during winter. Contestants must do eight tasks, many of which are hidden secrets of the area, and provide photographic evidence they’ve completed each task. Challenges include exploring pristine rivers and waterfalls, spotting rare birds and marine life, learning about the region’s history and appreciating Milford Sound’s dramatic, changeable weather patterns. Open to guests of Milford Sound Lodge through August, competitors are asked to email photographic or video evidence of each of the tasks or upload images tagged with #MilfordChallenge to social media sites. Guests who complete all the challenges will go in the draw to receive a $1,000 Visa Pressie Card. The Lodge offers bed and breakfast in either riverside or mountain-view chalets, or selected campervan sites with electricity supplied and of course stunning views of the valley. The Wanaka lodge, a luxury boutique lodge reopened with new owners as the Lime Tree Lodge is offering ski packages. 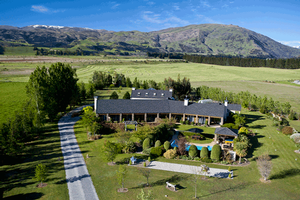 Set on a 10-acre estate just outside Lake Wanaka, the luxury lodge has four guestrooms and two private suites, each with their own French doors opening out to an expansive veranda and gardens with views of the Southern Alps. An on-site helipad provides direct access to the region's ski fields, glaciers and sounds as well as a pétanque court, croquet lawn, pitch-and-putt golf course, swimming pool and spa pool, making it hard to do anything other than relax and enjoy. 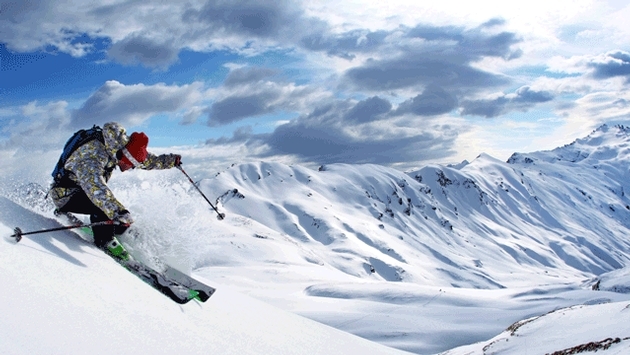 A range of ski packages are available over winter for stays of three or more nights from July to September. Packages include everything from a complimentary bottle of Central Otago pinot noir on arrival, freshly prepared breakfasts, complimentary evening aperitifs and courtesy transfers into Wanaka, to a complimentary hot stone massage for one or three-course dinner for two when staying in one of the two suites. The lodge offers access to fly-fishing, golf or exploring the surrounding countryside, or wedding groups. When booked by a single group or wedding party, the lodge can comfortably and easily accommodate up to 12 guests, and with a range of services from wedding planning to catering, flowers and photography. The Aro-Ha Wellness Retreat, located on the shores of Lake Wakatipu near Glenorchy and surrounded by the Southern Alps, is reaching out to skiers with two Alpine Adventure retreats. Helicopters insure skiers and boarders will not only find virgin untracked powder in the Southern Alps terrain, but will also benefit from the Aro-Ha wellness program including daily yoga, massage and a nutrient dense organic cleansing cuisine menu. The Alpine Adventure Retreat is limited to 10 guests at a time, ensuring two small heli-ski groups for more time on the snow and more vertical meters. All heli ski guides are UIAGM- and NZMGA-certified and guests will be provided with transceivers and safety equipment and fully briefed on their use. High-end demo snowboards and skis can also be provided. The heli ski Alpine Adventure weeks are alcohol-free with a focus on food for fuel and fitness. 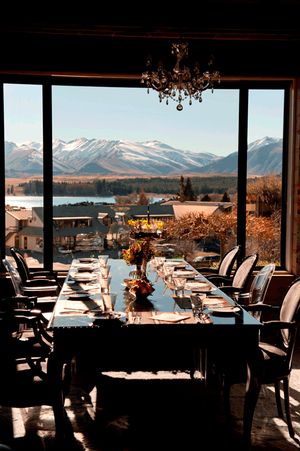 In May, the users of Booking.com voted Lake Tekapo Lodge as the “best property in Oceania and Asia,” in the website’s annual “Best of Booking’s Best” awards. The distinction was bestowed based on guest reviews on such categories such as staff, comfort, service, cleanliness, location and value for money. Located on Lake Tekapo in the Mackenzie District of the South Island, the lodge offers bed and breakfast style accommodation. The lodge took on new ownership almost two years ago and has undergone extensive renovations ever since. Lake Tekapo Lodge has three king size bedrooms with lake and mountain views, a dining room for breakfast and evening socializing, a quiet lounge room with library and contemporary, works of New Zealand art featured throughout. Tekapo, which has seen an increase in both domestic and international visitor numbers, is located almost halfway between Christchurch and Queenstown.